스페인 발렌시아에 위치한 미니멀리스트 하우스. 집 앞에 위치한 작은 안뜰과 거실, 주방으로 연속된 거주공간은 작지만 실용적인 배치로 구성됩니다. 나무재질 마감재로 정제된 공간에서 오는 차가움을 순화시킵니다. 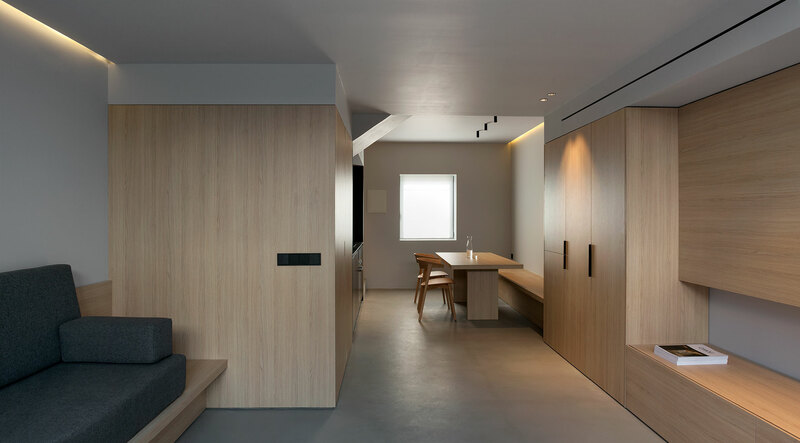 PA House is a minimalist residence located in Valencia, Spain, designed by Olmos Estudio. 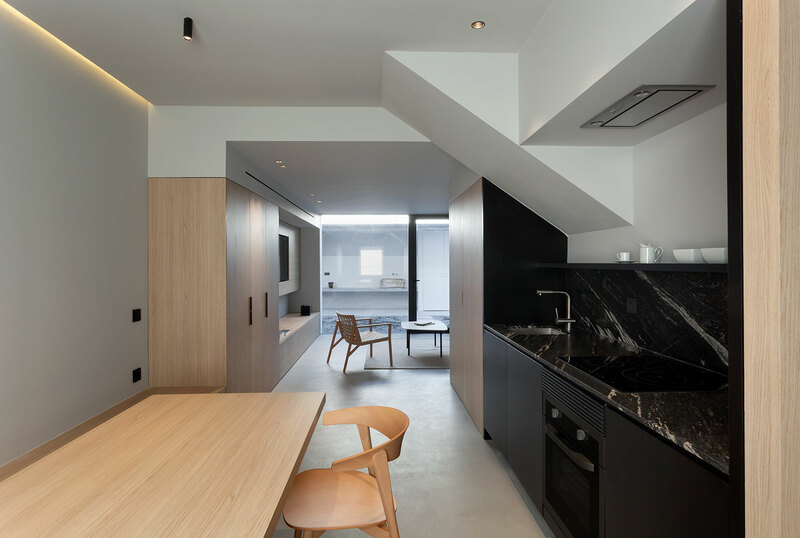 The house is composed of a ground floor with patio, a first floor and attic room. 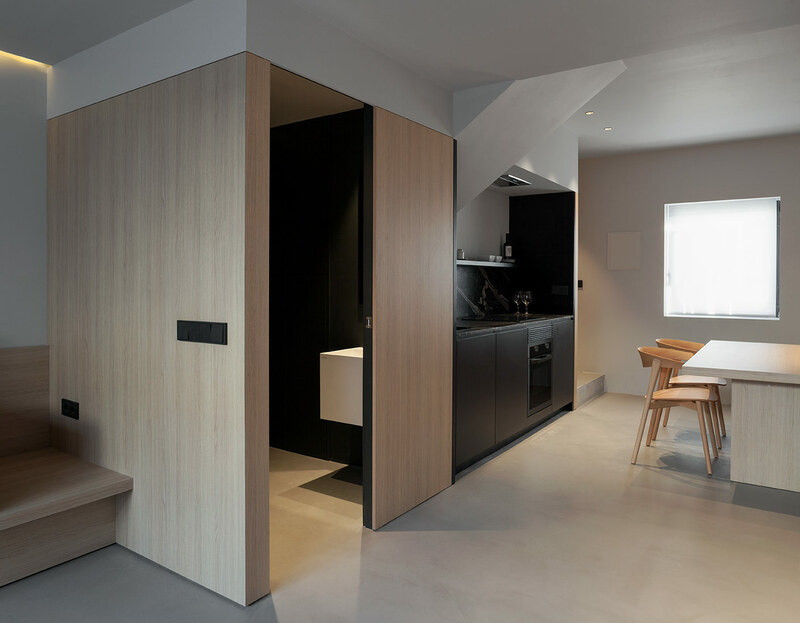 On the ground floor, due to the small size of the house, service elements as kitchen, bathroom and stairs are placed together in a wooden volume of 450×180 cm. 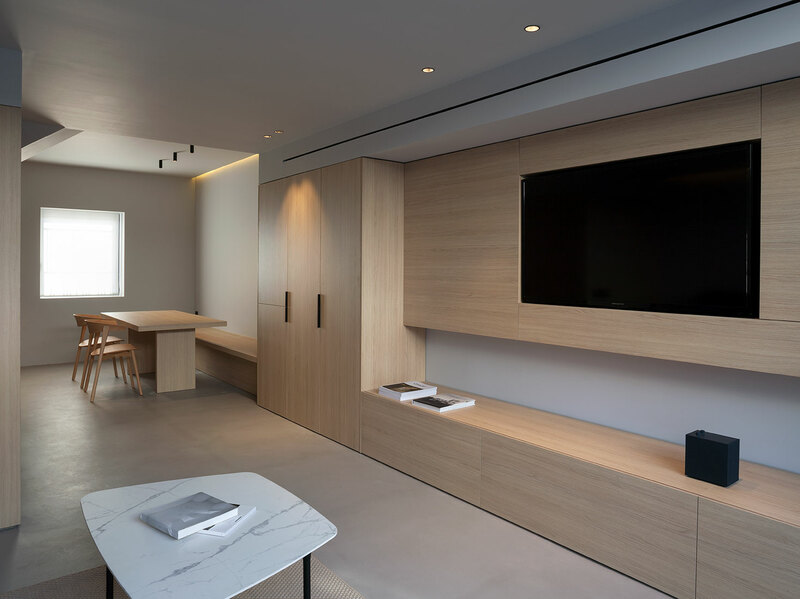 On the other side, a single element coated with the same material define different spaces, integrating the TV and the storage area. 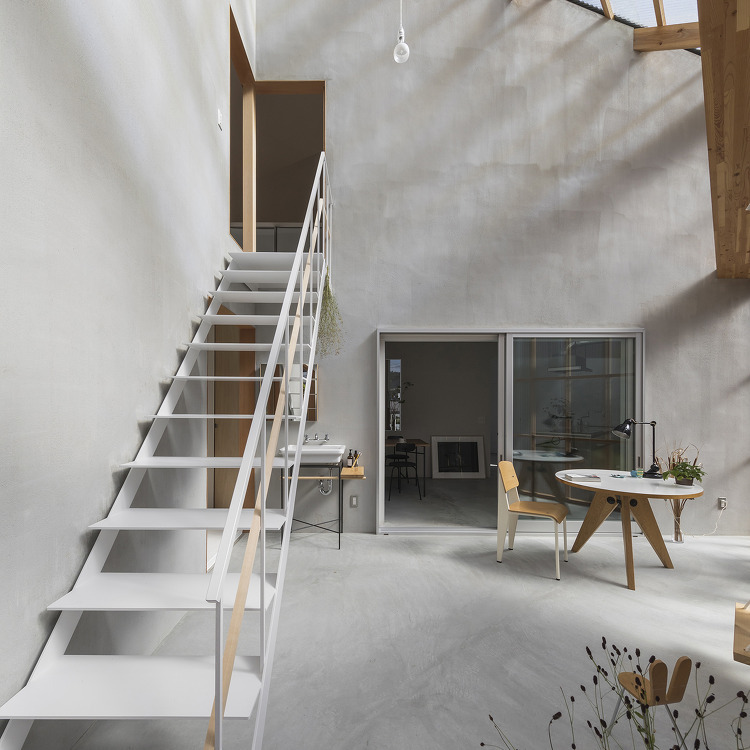 The whole floor opens onto an interior patio through a large window, which at the same time provides light to the entire space and serves as a backdrop to the house. Night area is entirely located on the first floor along with a small hallway that organizes the different rooms. Master bedroom, with views over the main street, integrates a separate dressing area. The second bedroom and the main bathroom open through the private patio. 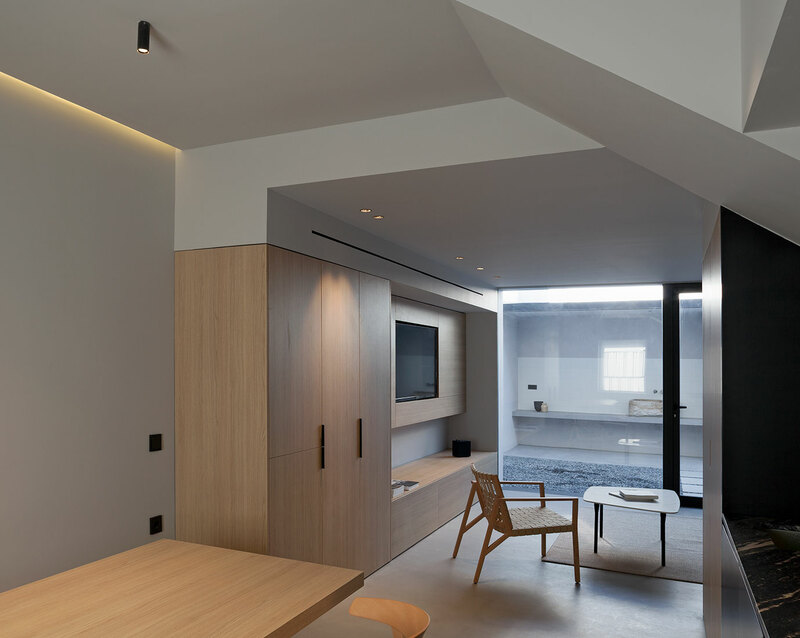 The attic, a requested area by the client, allows him to have an intimate space for disconnection. 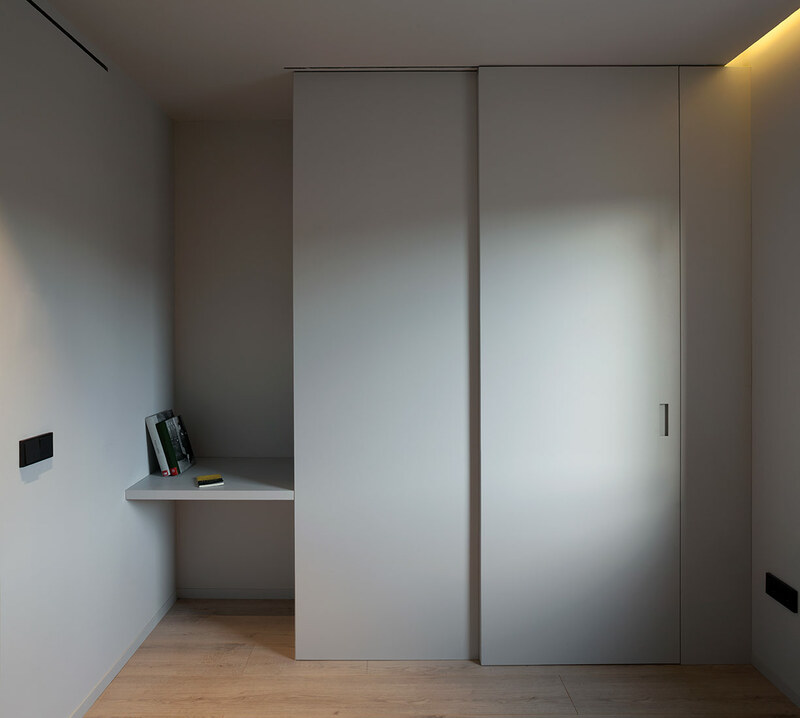 The access is through a staircase made with lacquered steel plates integrated into the wall. This solution helps to have a free space, otherwise it could not be possible to connect both floors. 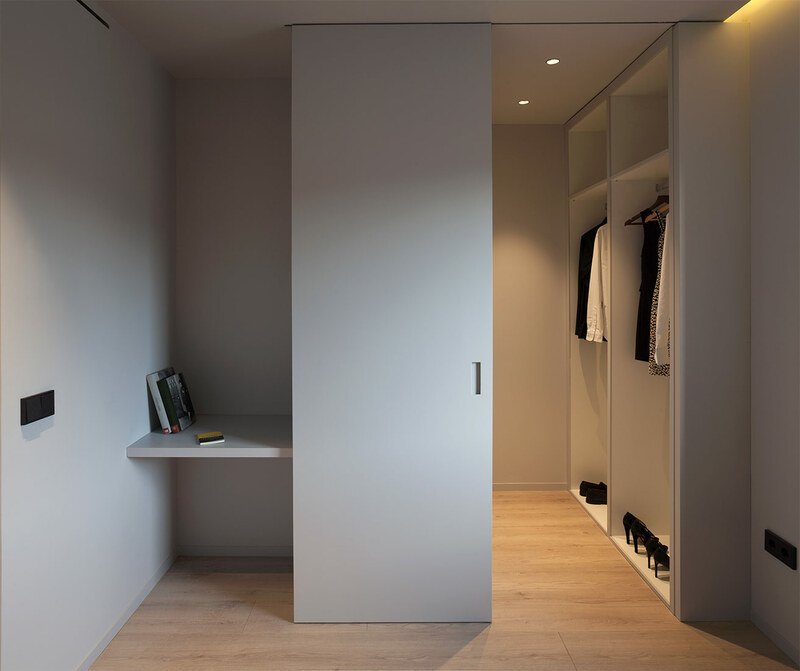 The project keeps a neutral and timeless appearance. 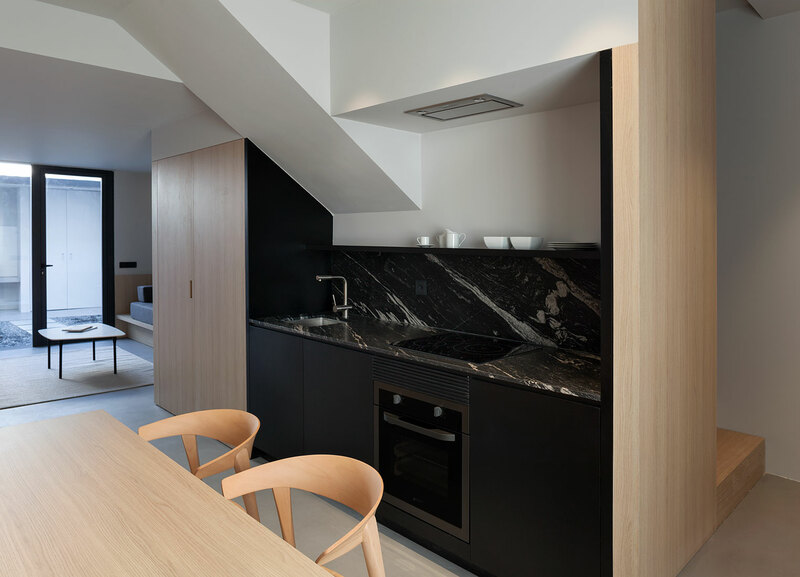 Continuous concrete pavement, together with the warmth of the wood, are the main line of the project, providing serenity and sobriety to the space.